Delays from such causes as having to chew through more bedrock than expected to problems with construction permits mean the City of Montreal’s water main and sewer line replacement project on McTavish St. will not be finished until the end of November, although much of the street should be reopened by the middle of next month. The project has been continuing since early June. City officials informed McGill recently that the street should be paved and fencing removed by mid-November, a couple of weeks past the anticipated completion date, but the area around the stairs at Dr. Penfield Ave. will remain closed until a custom-built piece of concrete to connect various pipes can be built and installed. That is likely to be toward the end of November. That concrete “box” cannot be designed and built until all the pipes are in place. After that, it will take two or three weeks to fabricate, University Services personnel say. 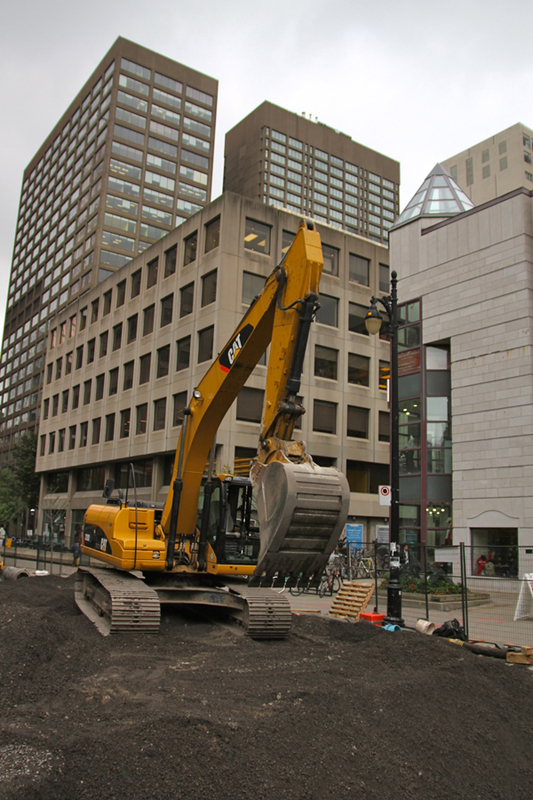 The City has blamed the late completion date on a variety of factors, including the fact that the project was delayed at the start so McGill could hold Spring Convocation in relative peace and quiet. As well, there were a number of technical difficulties during construction, including a water main break near the Dr. Penfield intersection.